If you are considering attending a writing conference sometime in the future, I hope this finds you well. Maybe you have heard of Bread Loaf. Maybe not. I hadn’t heard of it until one day, two fall semesters ago, when my Creative Writing teacher at Mesa Community College told me, in that way he always expressed his opinion, as if he were open to hearing your objections, not because they were valid, but because he believed there was value in standing up for yourself, that if I wanted to be a serious writer then I should attend a writing conference and if I was going to attend a writing conference, it might as well be Bread Loaf. The name, which stands out in that vaguely preppy sense, of something old and prestigious and yet quite silly, comes from Bread Loaf Mountain, named because it was shaped like a loaf of bread. It is 89 years old and an off-shoot of the ridiculously small (my high school had just as many students) Middlebury College in Vermont. I had reservations about attending. First, and sadly foremost, I have never felt comfortable around other writers. I find myself secretly hating them and wishing, when they talk of things like theme and the occasion of telling, that they would shut up or, at the very least, change the topic to something less troubling like religion or politics. 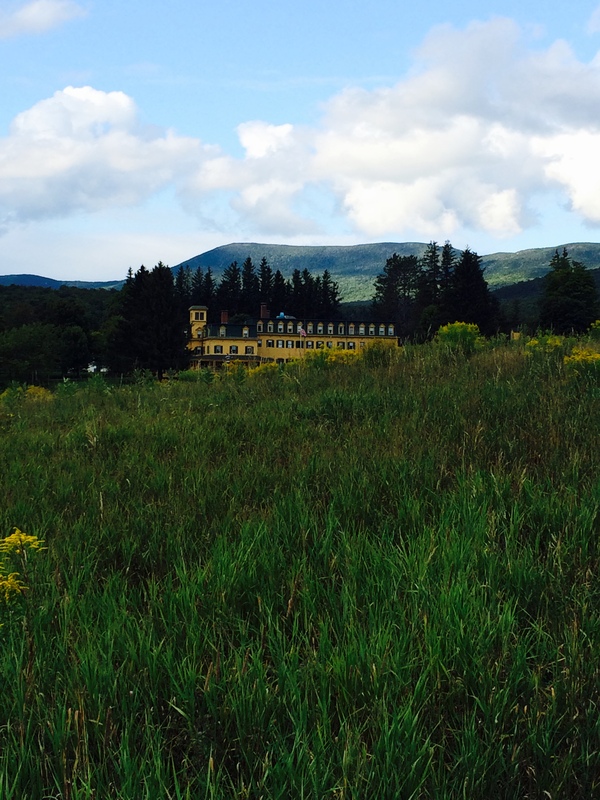 Second, though a very close second, attending Bread Loaf, as I was invited to attend, sans fellowship, would clear out my savings and leave me broke. Third, going would mean stepping down from my Middle Management position at the company where I’ve worked for the past 5 years, because, of course, Bread Loaf dates coincided with blacked out days on the store manager’s calendar, meaning no time-off allowed. I am telling you this up front, so, as you read my mixed thoughts, you will still believe me when I say that, if you love to write, then you should do whatever it is you can do to attend a writing conference like Bread Loaf. Let’s go over the facts: To attend Bread Loaf it will costs around $3000 and that will include just room and board and your tuition through Middlebury College. That’s for your workshop, whether it be in Fiction, Poetry or Nonfiction, and for your shared room up on the Mountain in one of the Houses. You can, as I did, choose to stay off campus at a nearby Inn (there are two of them, one about 8 miles away and another about 16 miles away) or even look up cabins that are listed at a discount rate for Bread Loafers. If I had inquired a little sooner, I would have been able to stay in a four bedroom house with a full kitchen for only one hundred dollars a night. To get to Bread Loaf, I drove North out of Burlington for a little over an hour and then passed through Middlebury, almost without realizing it, then drove up to Ripton, a town with one white Lutheran Church (that hosted a play based off of Mark Twain’s Letters from the Earth while I was there), an old country store that sold turkey sandwiches wrapped in plastic wrap and worms for fishing, and The Chipmann Inn, where I stayed. After Ripton, you have to just go a little further up the Mountain, past the Homer Noble Farm where Robert Frost stayed before leaving with Homer Nobel’s wife. Then you are there, where the road plateaus and the view opens up. Every other day you go to Workshop. When you are not at Workshop, you can attend craft classes, which cover things such as The Art of the Paragraph and Using Autobiographical Elements in Your Fiction. Every morning you pick up your copy of The Crumb, the Bread Loaf Newsletter, and it tells you what readings and talks are going on that day and who is coming to the Mountain and who is leaving. I got to listen to the editors of the New England Review talk about what they most looked for when accepting a piece of writing (they have to love it). And the preferences of the publishers of the small press Graywolf (they have to love it, and it has to be something they can see other people loving). And I heard from one wise editor, from an organization whose name I unfortunately can’t remember, speak about how he is finding more and more writers who are worrying about their social media presence, their Twitter followers, the way their book cover will be designed, but not worrying half that much about the quality of their work. The work, he said repeatedly, comes first. If you do go to a conference and there is off-conference housing, I do recommend taking that option. I think I would have gone crazy spending 10 days up on the Mountain, surrounded by people like me. I escaped every night with my girlfriend to Middlebury, to one of its two bars that was open past 10. 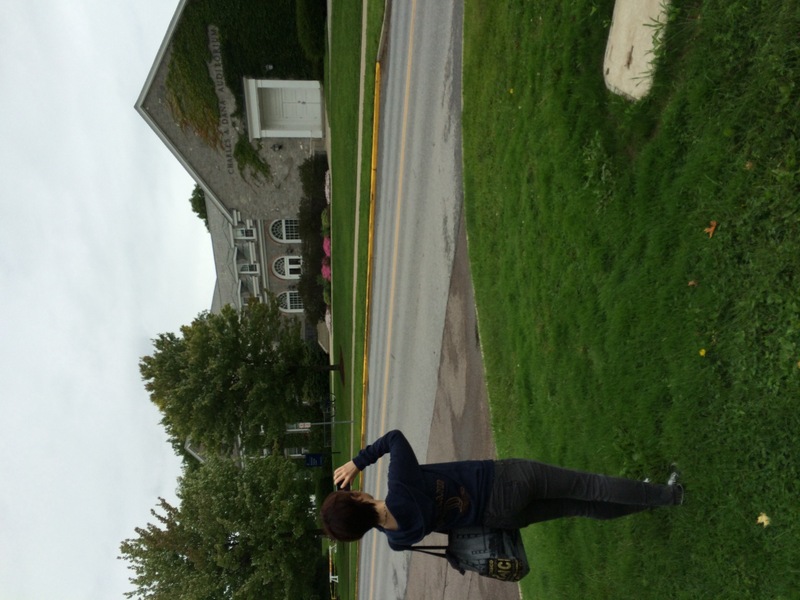 Sometimes I would skip out of Bread Loaf in the middle of the day, growing tired of readings and talks by editors, and we would shop around Middlebury and walk through Middlebury College. You have to leave writing eventually, I think, in order to keep finding things to write about. After my story was Workshopped, and it was a good Workshop, I got, like everyone else, a one-on-one with my Workshop Leaders. I met my first Workshop Leader, a woman with long black hair and a hard face, in the Bread Loaf Barn, where the dances were held and the Bar was open every night till 10ish. Because it was cold this summer, there was always a fire in the fireplace, and the night before I had almost fallen asleep there in front of it. She and I talked about my story briefly. I didn’t have many questions. Then we talked about MFA programs and writers I should read. This was her sixth time teaching at Bread Loaf. She looked around the barn and talked about the stories she had heard in the earlier years of its existence. There was more drinking and sleeping around. A lot of older men writers invited up younger women. She said her favorite story was about Richard Yates, who got drunk or high or both and climbed one of the buildings and had a prophetic vision which ended with him shouting out that he was God. My next Workshop Leader was less comfortable talking. He had been that way in Workshop, too. He had good things to say and he would often lead the discussion, but it took him time to find the words and then even more time to find what order to place the words in. We met out on the front porch of the main office and enjoyed the view, sitting on an old bench that creaked beneath us. When he spoke, his hands were out in front of his chest and his fingers were tense, as if grasping at some machine with knobs and wires. He had held a craft class on James Joyce’s use of epiphany in Dubliners; a craft class I had very much wanted to attend, but the time didn’t fit with the rest of my schedule. I have always felt like the epiphanies of my stories are never realized, that my characters are dancing around this great realization that would shatter the lives they had been trying so hard to live. But nothing ever resolved. It was the biggest critique of my story, that I didn’t allow my characters to grow and I should allow them to do more. He spoke to me about taking time off in between undergrad programs and grad programs, about working a little, traveling a little. The next day was the end of Bread Loaf and I’d fly out with my girlfriend around four in the afternoon. He asked if I had any questions about my story and when I said no, he said “Good. You know what you need, you just need to. . . .” and he went quiet and scrunched up his face and held his hands out in front of his chest and contorted them into something like claws. It took me nearly an hour to rearrange my luggage to include the books I bought/was given and my carry-on bag was replaced with a broken portable typewriter I bought from a small antique shop in Middlebury. It is still waiting for me to save the sixty dollars it is going to cost to fix it.